As part of the New York-based hip hop collective A$AP Mob, Tyrone Walker (A$AP TyY) released his own singles O Well, Chamber Lock ft. A$AP Yams and Remain the Same in 2015. Having been featured on websites like HotNewHipHop and Complex, he later released his debut mixtape Best Kept Secret in 2016, and started touring throughout Europe and the UK. 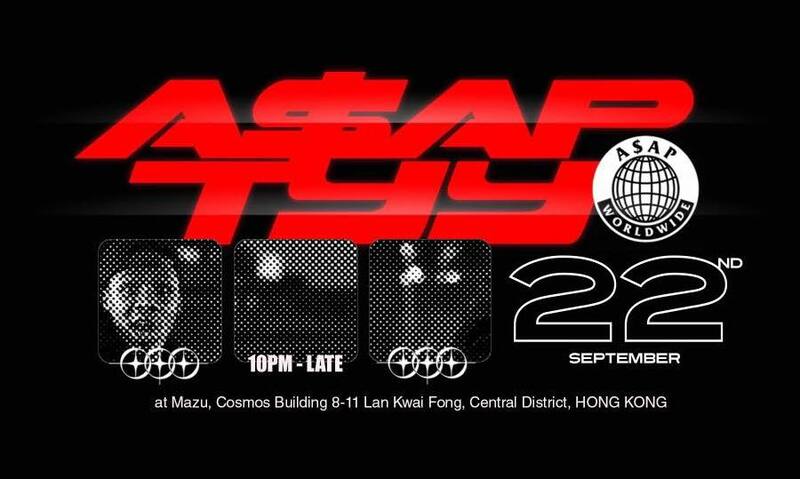 Organised by Mama Told Me and Hip Hop From Asia, A$AP TyY will be playing his first show in Hong Kong at Mazu on 22 September. If you’re into hip hop music, don’t miss out on it.